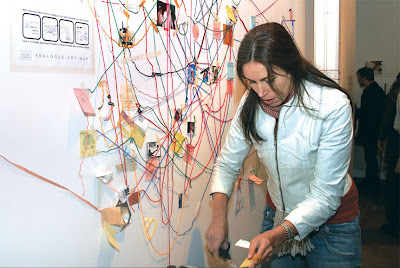 From 29 June to 9th July 2007 ANALOGUE ART MAP undertook a project to map Melbourne’s creative community. 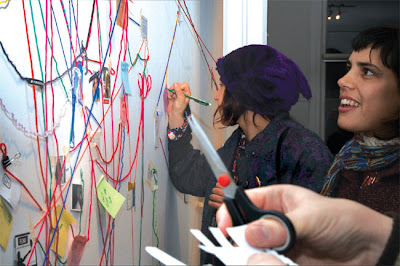 Visitors to the Wardlow Studio in Fitzroy were invited to leave a note, drawing, photo or anything else representing them to the gallery wall. 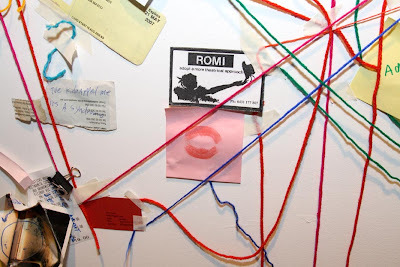 Connections between people are like invisible lines in the air and Analogue Art Map's project "Map Me" makes these social and professional bonds materialise by bringing the act of networking in to the visible world. Over the course of the exhibition: Sincerity of Detail which also included works by studio resident Katie Breckon and award winning Melbourne painter Sam Leach, a network map of the Melbourne creative community emerged with coloured wool showing the links between people. 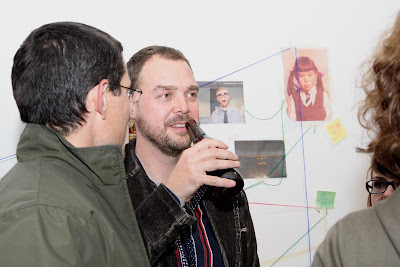 Referencing online networking platforms such as MySpace, Map Me brings virtuality back into reality, making both the act of networking, the connections and the people reappear in real time and space. 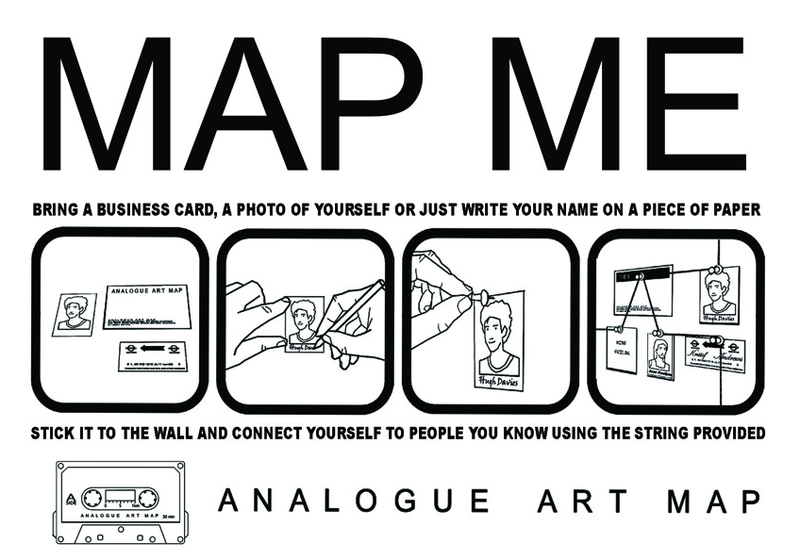 Map Me is one of Analogue Art Maps tactics with the purpose of highlighting the culture that surrounds current digital networking. By removing the technology, only the social phenomenon remains. Painting your house, in particular painting the exterior of your house, is not only about good looks. Paint also protects the underlying structure of your house. Painting a house is something like new look and some new place and gives good change to life. 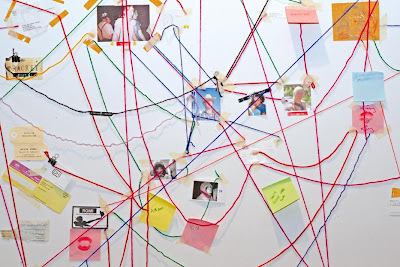 Map Me is the Art Maps that provide information of surrounds current digital networking. 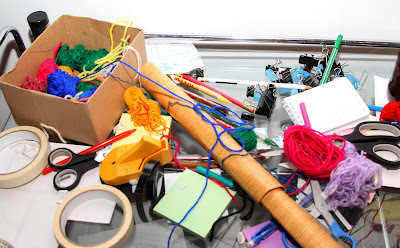 It is very interesting and useful art.